Somerville, MA sits just north of Boston and Cambridge. Its colonial origins and later a system of 20 rail and trolley stops have helped make Somerville the densest city in New England. But when the Interstate Highway System was constructed in the mid-1900s, the city’s transit routes were removed. 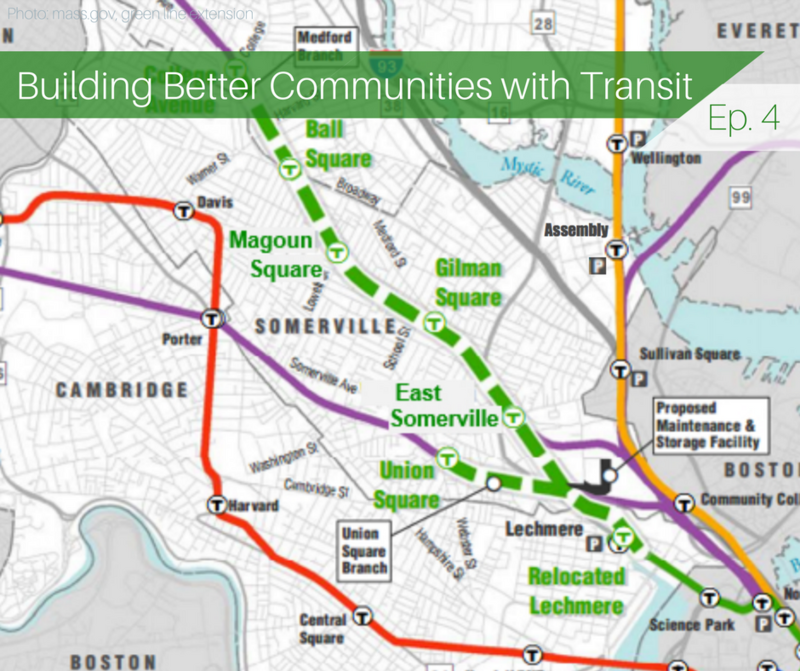 Health and environmental justice issues in the community have since pushed the city and region to extend the Green Line from Boston and by 2021, Somerville will once again be connected by high-capacity rail transit. This week, we’re joined by Somerville Mayor Joseph Curtatone on Building Better Communities with Transit. The mayor talks about Somerville’s proximity to Boston, its amazing density and variable housing types, and how the community is working together on plans for future transit-oriented development around the Green Line Extension. Mayor Curtatone also talks about how that process is being monitored and can be recreated in the future. Finally, the mayor looks back at how the city has transformed yet maintained its unique character over his 14 years in office.